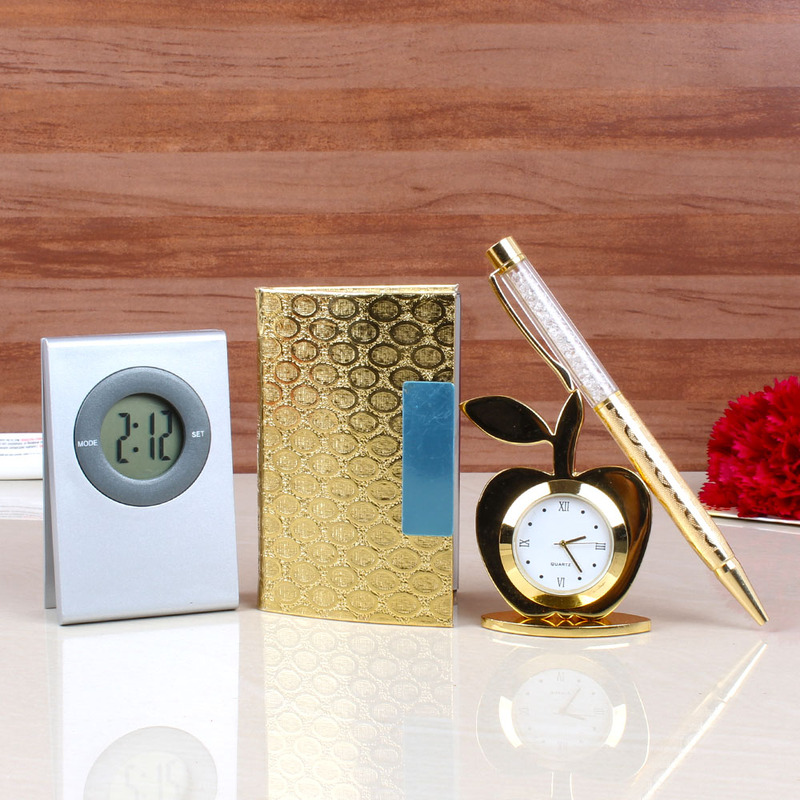 Product Consists : Golden Apple Shape Table Clock, Golden Card Holder and Golden Crystal Ball Pen along with Paper Holder with Digital Clock. 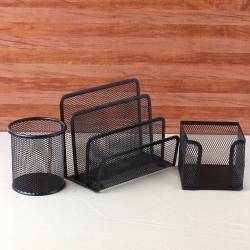 If you are searching for something unique but very useful gift, then this hamper is perfect for you. 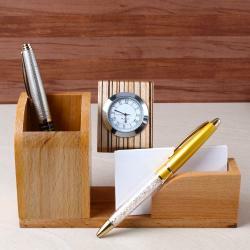 This Gift hamper comprised of Golden Apple Shape Table Clock with Golden Card Holder and Golden Crystal Ball Pen. These all gifts are coming with unique packaging box. This is one of the best gifts combos which is looking so much royal and Classic. This hamper also comes with one more unique idea of paper clip with digital clock. 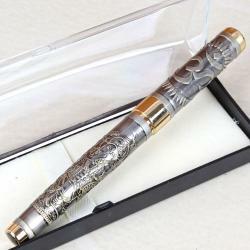 This made with though that It is helped you to keep update the time so work and study will complete in time frame. So, Book your order now. 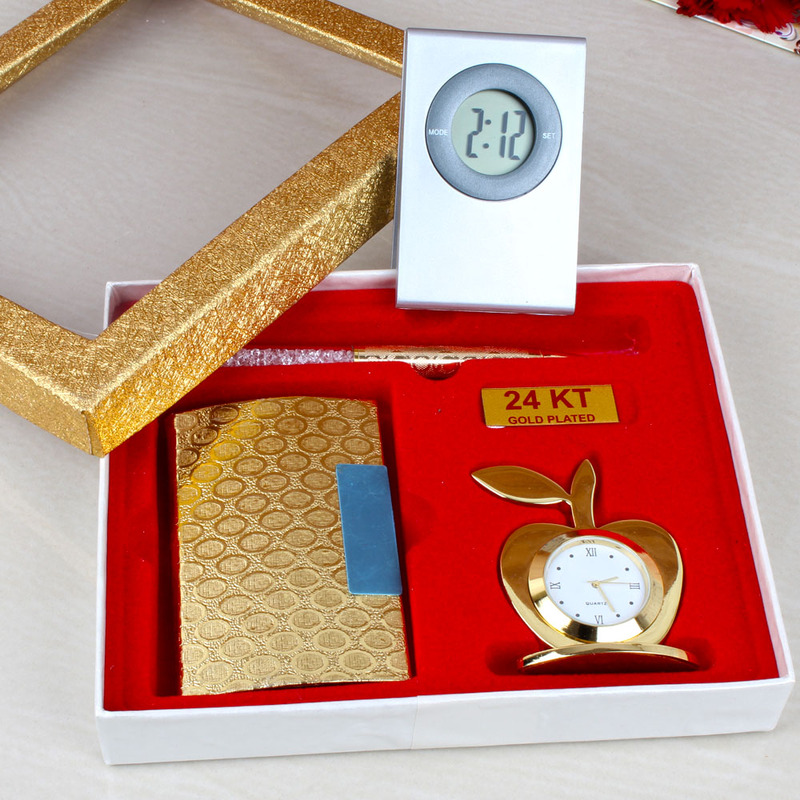 Product Includes: Golden Apple Shape Table Clock, Golden Card Holder and Golden Crystal Ball Pen along with Paper Holder with Digital Clock.